Modern and bright – a true grand design in Franklin. Photos: Supplied. 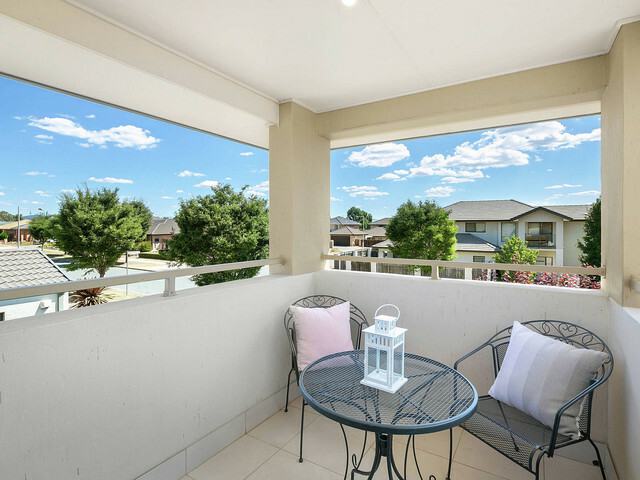 If you have ever thought of moving your family to Gungahlin but have not been impressed by indoor living space, then this two-storey home in Franklin is the answer to your prayers. Initially an investment property, this four-bedroom two-bathroom (including ensuite) home with double garage has been well maintained since it was built 10 years ago and the owners are currently considering offers over $868,000. Sitting on a corner block, the sizeable dwelling comprises generous living areas and segregated nooks to retreat to as needed. Privacy abounds, with lots of blue sky to admire in the private balcony off the master bedroom. 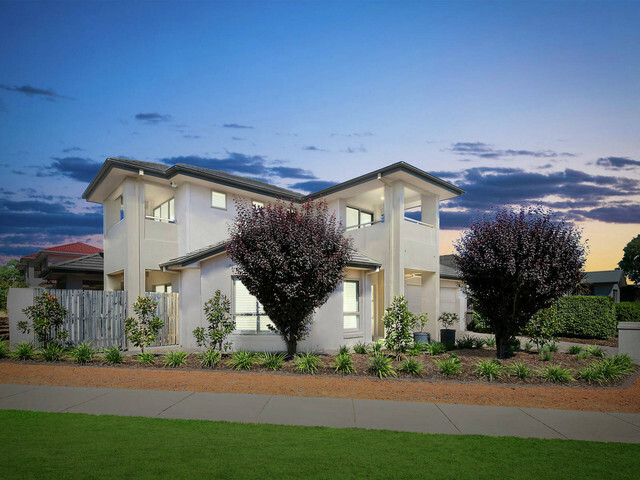 The sale of the property is being jointly managed by both Dimi Romero and Justin Taylor from McGrath Estate Agents Gungahlin – and they each have their own ideas about what they like about the home. 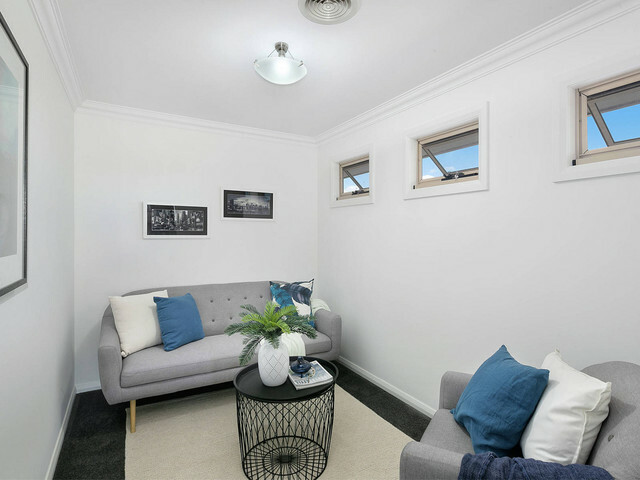 “I guess [I like] that it’s based around a family home,” Dimi says, “it has a parent retreat upstairs – the upstairs part is fully catered for the parents. It even has a dedicated area that could be a nursery or study nook. 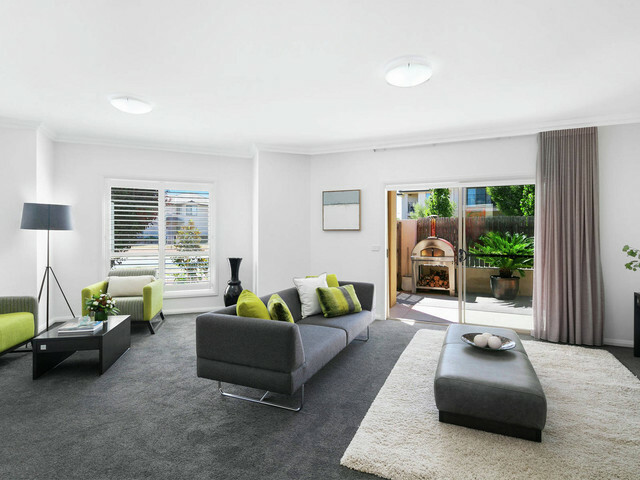 The home also sits on a decent sized corner block which is hard to find in Gungahlin,” she says, and Justin agrees. “It is roughly 70 to 80 square metres larger internally than your average four-bedder in Franklin,” he says. “The owners are very realistic with their price considering this, and it is priced to sell.” Justin notes that there are houses with a similar aesthetic, but this home sets itself apart with its size. “Whilst there are similar houses in Gungahlin, it is the size difference that makes this place unique” Justin says. Manicured outdoor entertaining areas are clean and crisp. The home is at its core for the young and expanding family and Dimi says its features reflect that, “I think it would be best suited to a growing family, with its separate living areas”, she says. 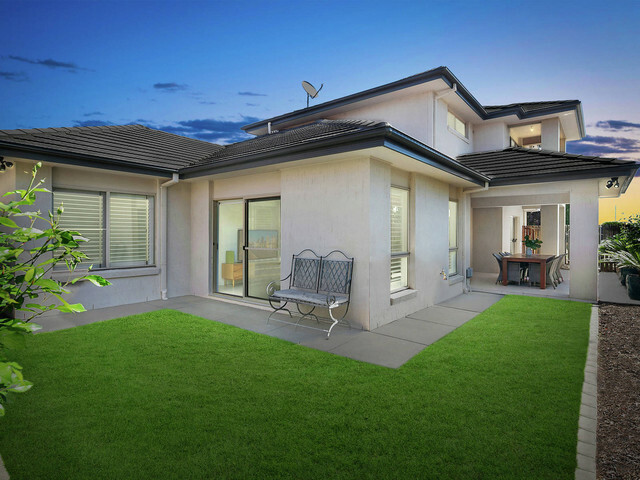 “The front lounge room can be cordoned off, and that area flows into the outdoor alfresco. The combined living and dining area which is great for entertaining guests”, she says. The feature that shines through though, is the separated parental retreat upstairs. “It’s got a massive master wing-slash-parents retreat upstairs that’s pretty special,” says Justin. Dimi agrees that this is a unique layout, “I’ve got children of my own, so having that separation of the property is pretty magical!” she says. The nook upstairs forms part of the parent’s retreat from the downstairs area. The home has been consistently maintained since its construction, owing to the fact it was an investment property for so long. Dimi noted the history that the current owners have with the place, “We sold the owner’s home in O’Connor for $2 million, and they have since moved back in and kept the place up-to-date”, she says. 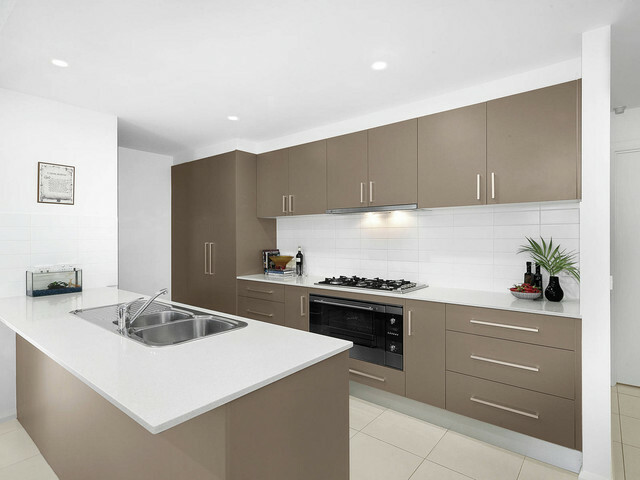 The home boasts 243 square metres of internal living space (283 square metres including the garage), modern finishes in the kitchen with generous-sized appliances, as well as highly desirable 2.7 metre high ceilings in the expansive living areas. Generous space and modern finishes. Justin also noted there is another emerging feature that is just around the corner…literally, “the home is within walking distance to the light rail”, he says. Perfect for a quick trip into the city, or Gungahlin Place for a morning coffee. So far, the value of the property has piqued the interest of potential buyers, Justin says. “We had a dozen open properties last Saturday and this house was the busiest by far – we had over 22 groups come through. The price is a big one that draws people in and certainly the interest we have had is encouraging. We are currently looking at a preliminary offer as well, so interest is definitely high on this property,” he says. Modern kitchen that flows into adjacent living areas. 3 Daniels street is on the market through McGrath Estate Agents Gungahlin, with the owners considering offers over $868,000. To arrange an inspection, contact Justin Taylor (0414 701 465) or Dimi Romero (0434 968 209) or click here.